This article written by Kevin shows how you can apply some simple principles to dramatically improve your listening effectiveness. Recently, I visited a retail luggage store in a large suburban shopping centre to replace, yet again, my accident-prone luggage. As a professional speaker, I tend to travel a lot, which means my most commonly used suitcases rarely see their second birthday. I was approached by Valerie (not her real name) whose badge told me she was the store manager. Her friendliness and professional presentation could not be faulted. “I travel over 100,000 kilometres a year, so suitcases don’t last me very long…” I started. What followed was the most detailed dissertation on heavy-duty luggage in the history of retailing. The breaking strength of the rigid cases, the comparisons between 600 denier and 1200 denier, the relative merits of 10mm zips versus 15 mm zips, and a whole lot of other stuff that didn’t even register. I had obviously found the most knowledgeable person on heavy-duty suitcases on the planet. If you were a contestant on ‘Who wants to be a millionaire?’ and you got a question on luggage – she’s the friend you’d want to call! Did she enquire about my past experience – as someone who had used a lot of luggage. Did I have any brand loyalties? Preferred styles? Pet hates? No she didn’t. Did she ask if the information she was giving me was making any sense or had any relevance to my particular usage? No, she didn’t. Did she sell me a suitcase? You know the answer. Kevin is an experienced conference speaker, workshop leader, facilitator and MC. He has twenty-five years experience as a corporate trainer and fifteen years experience as a professional speaker. He runs his own business from Brisbane, Australia, speaking at conferences and seminars across Australia, New Zealand, Asia and in the UK specialising in the areas of sales, customer service, humour in business and communication skills. His clients include some of Australia’s largest organisations, politicians, members of the judiciary, Olympic athletes and elite sports people. He has co-authored nine books on communication skills and humour in business that are used extensively throughout Australia, New Zealand, Asia, the UK and South Africa. He writes regular columns on communication skills, sales & customer service and humour in business for a number of industry magazines. His articles have been printed in major daily newspapers in Australia and Asia. Kevin is a Certified Speaking Professional (CSP) which is the highest possible level in professional speaking and the only one recognised internationally. 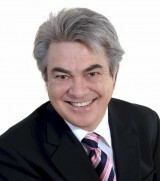 He is the Immediate Past National President of the National Speakers Association of Australia.